Musings on crayons and Oliphants | So Many Exciting and Beautiful Places! 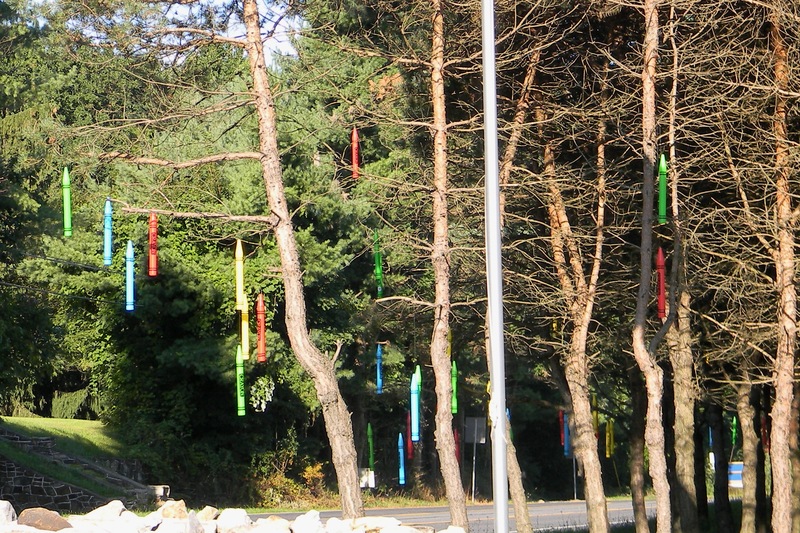 We left Gettysburg early this morning, and were barely on the road when our eyes were caught by crayons hanging in the trees in Orrtanna, PA. Never ones to pass up a photo-op, we turned right around and stopped. 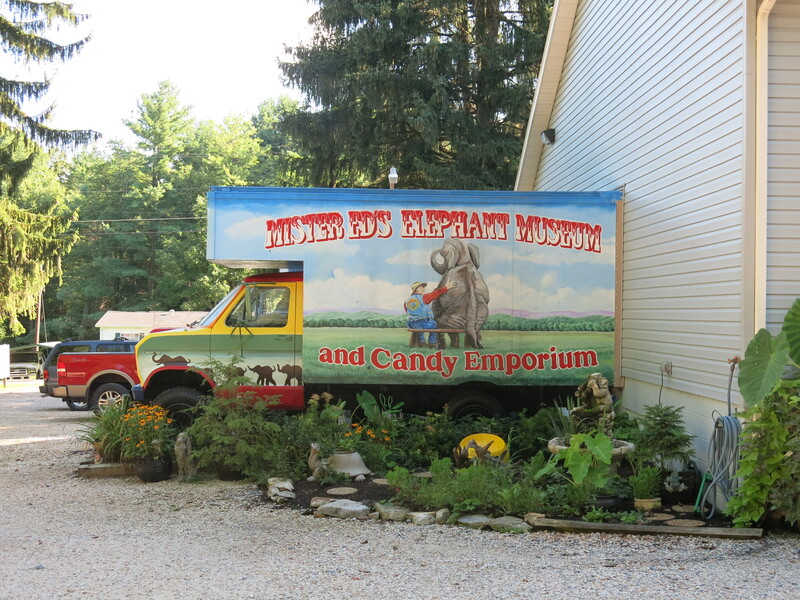 When returning to the highway, we spied Mr. Ed’s Elephant Museum and Candy Emporium. Of course, we had to stop! 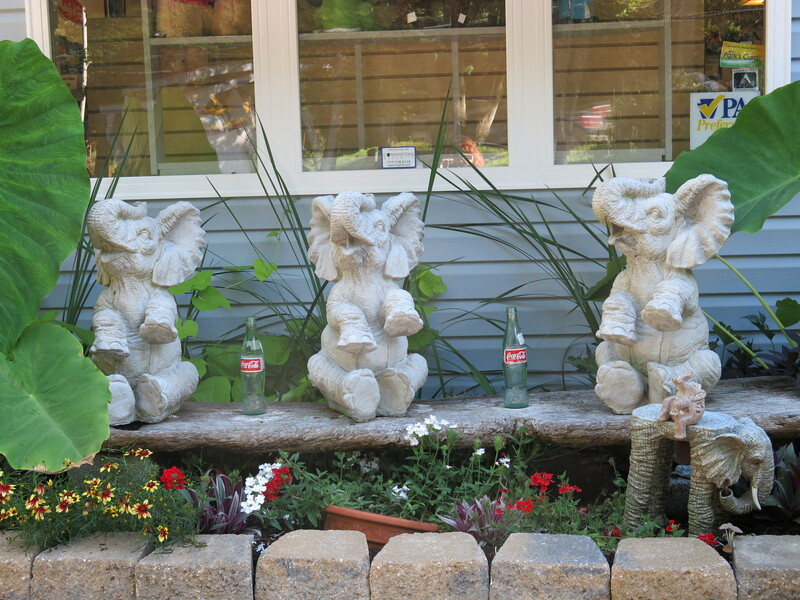 There were elephants in the garden, elephants on the walls, elephants in cases upon cases in the store, even elephant benches. (Mark, there is now one in the back of the Touareg. Not much room for more shopping, I guess.) These people have been collecting elephant gewgaws for years. We stocked up on peanuts (candy) and returned to our driving. 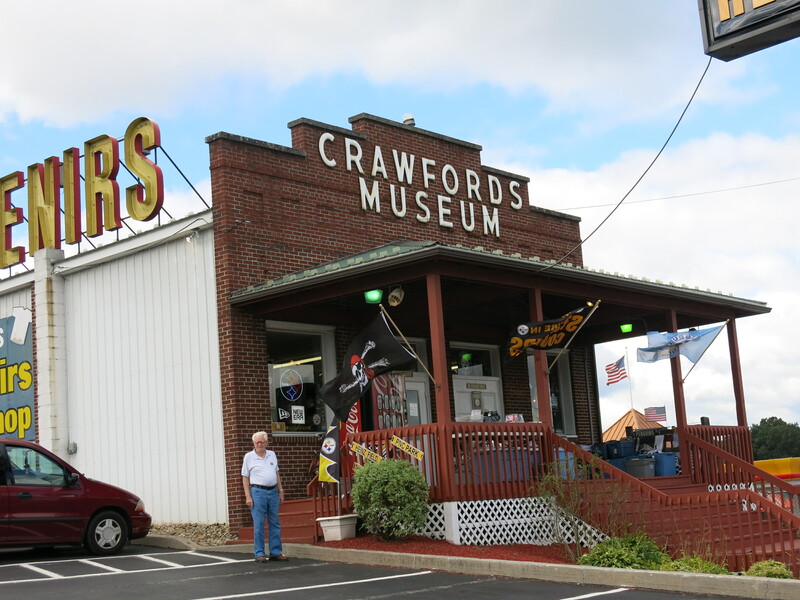 While stopping for fuel in Breezewood, PA, we saw a building acoss the street with the sign “Crawfords Museum,” so we checked that out as well. I’m not sure what qualifies it as a museum, but now we’ve been there and done that. Actually, it’s a souvenir shop, mostly for the Pittsburgh Steelers, and who needs that?? This entry was posted in USA Travel and tagged Pennsylvania. Bookmark the permalink.